Meet the Sell OBX Team – Dru, Jeff and Karen. 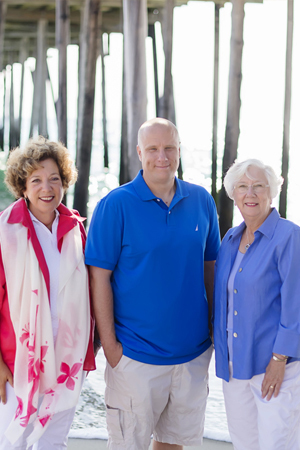 Dru Ferrence, Karen DelVacchio and Jeff Ferrence collectively bring over 70 years of real estate experience to the Sell OBX Team and is one of the most productive, respected and experienced real estate teams on the Outer Banks of North Carolina. The three-person team consistently closes over 50 transactions every year. Service to clients is outstanding because there is always a team member available to work on behalf of their clients. Team member, Jeff Ferrence has lived on the Outer Banks since 2001. While growing up in Delaware, Jeff began visiting the Outer Banks before he could walk. After graduating from Auburn University with a bachelor of science, Jeff tried his hand at a career with Amazon.com. Jeff found that his love of the beach was much stronger than the internet craze. An avid outdoorsman, Jeff spends much of his free time kayaking, fishing and playing disc golf here on the Outer Banks. From rolling around in the waves as a three-year-old until today, spending time with his feet in the sand remains a priority for Jeff. He’s committed to helping his clients do the same. Jeff excels in guiding his clients through the real estate transaction process. Equally proficient at assisting buyers and sellers, investors or first-time homebuyers, Jeff combines and commits a hard-working/hands-on work ethic to provide clients with a stress-free real estate experience. Call him today to talk real estate. Absentee owners for 21 years, our family enjoyed Outer Banks yearly vacations with children, grandchildren and lately a great grandchild. Last year, I reluctantly realized my physical limitations could no longer cope with all the stairs. Along with other agents, I contacted the Sell OBX Team, mainly because of receiving their monthly postcards for several years. Their initial consultation was so impressive that when it was time to list the property, the Sell OBX Team was my first choice. I was absolutely amazed when the house was under contract in 8 days. The Team went above-and-beyond during the escrow period helping me obtain top dollar without a lot of hassle for repairs and upgrades, even negotiating a final week-long planned family reunion which took place two months after closing. MLS# 103376: BIG BEAUTIFUL RENTAL MACHINE! MLS# 103528: HGTV MY LOTTERY DREAM HOME! 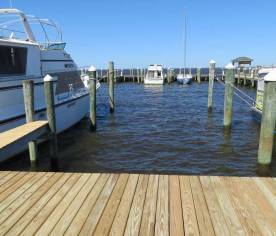 MLS# 104124: GREAT WEEKEND RETREAT!